A lineup of impressive book and history authors will welcome registrants to the annual 2017 Conference of the James-Younger Gang & family reunion. Guerrilla raids and warfare, John Hunt Morgan, social culture that led to war…all vie with personal history written by family descendants about ancestors. These authors bring a unique perspective to the history of the James-Younger Gang and their families that only is found in a meeting like this. 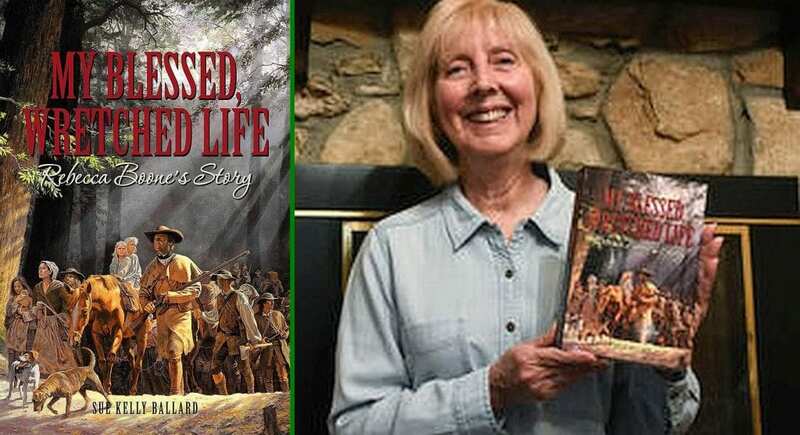 In My Blessed, Wretched Life, Rebecca Boone’s Story, Sue Kelly Ballard writes a captivating, gut-wrenching, story about Daniel Boone’s wife, Rebecca Ann Bryant. Rebecca and Daniel Boone are 5th great-grandparents of the descendants of Jesse James Jr. and Stella McGowan. Born in Kentucky, Sue Kelly Ballard is a Board Director of the Boone Society and co-edits the Society’s Compass newsletter. A member of the Filson Historical Society and DAR, she recently received the DAR Award for Women in the Arts. Ballard is an “army brat,” having lived in several states and overseas. 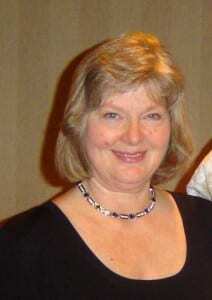 Recently, she retired as a professor emerita of chemistry. In This Bloody Ground, Eric F. James writes a leading-edge history about John M. James, the grandfather of Frank and Jesse. 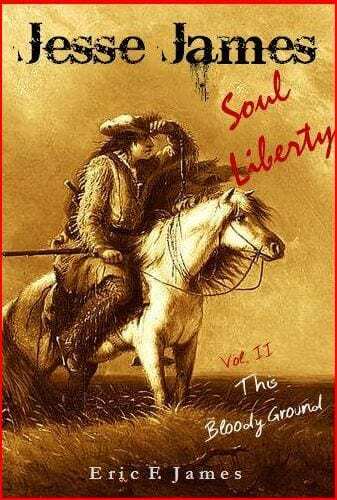 In the epic style of his award winning Jesse James Soul Liberty quintet, Eric draws upon a cornucopia of unexplored sources to reveal for the first time an historical record too long ignored. This Bloody Ground steers the reader deeply into the Kentucky wilderness with John M. James and his self-exiled bunch of rebel Baptist preachers, from John’s first meeting with Daniel Boone through the resistance and trials of the American Revolution. Facing persistent Indian raids and certain death on this unforgiving frontier, John nearly loses his family. Joined by the families of Lindsay, Cole, Pence, Nalle, Scholl, Hite, Vardeman and others, all bind to one another for self-survival and self-rule. Conspirators threaten and abound. The choice is dire. John’s selection engulfs him. Stay under a repressive Virginia, or join Kentucky to Spain. With statehood overriding, John rises as a political founder and legislative representative. But, ruin remains his destiny. Under threat of revelation, John retreats to Rogue’s Harbor (later called Logan County) to live in anonymity and a new family of his own. Facing death, John M. James still yearns for more revolution. This time, against banks. Eric writes and publishes Stray Leaves, the official website and blog for the family of Frank & Jesse James. Volume I of his quintet was recipient of the Milton F. Perry Award. In I Knew Frank, I Wish I knew Jesse, and in Guerrillas and Other Curiosities, Dan Pence edits and compiles a unique personal historical record harvested by his grandfather, the author Samuel Anderson Pence. As an inveterate collector of historical minutia and as a personal friend of many among the Jesse James community, S.A. Pence presents a story with infill information that every historian writing on this subject wishes he knew. Dan Pence is the present president of the James-Younger Gang. 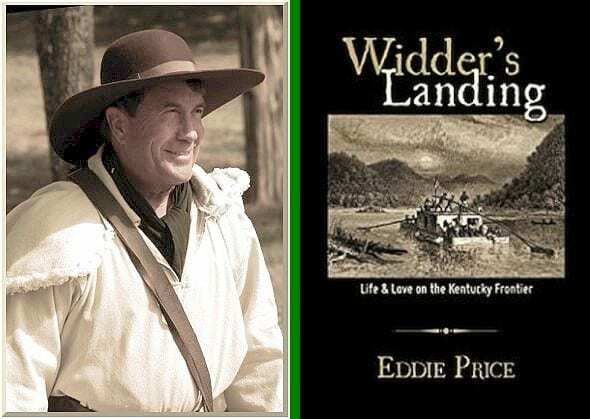 In Widder’s Landing, Eddie Price writes a story of life, love and survival set against the rugged Kentucky frontier. Craig Ridgeway, a 21-year old gunsmith from Pennsylvania, rides a flatboat down the Ohio River to Kentucky to try his hand at farming. Through an accidental association with a notorious widow (the past proprietor of a liquor vault and prostitution den), he inherits a patch of rich bottomland, embraces a nearby family, and falls in love with the abandoned wife of a violent outlaw. Overcoming inexperience and hardships, Craig builds a promising new life, learning how to raise corn, tobacco and hemp. Inspired by the “Widder’s” recipe, he and his wife Mary manufacture bourbon whiskey, which he markets profitably in New Orleans. A new steamboat embarks on its first journey down the Ohio and Mississippi Rivers, ushering in a new economic era. In a way, Ridgeway’s journey mirrors the arrival of Anthony Lindsay and his family. Lindsay’s young son saw only desperation in the wilderness ahead. If he did not marry a girl from the Quissenberry family on their flatboat, he never would find a wife in the wilds or have a family of his own. Eddie’s book Widder’s Landing received the Gold medal for “Best Historical Fiction” in the 2013 Reader’s Favorite Awards. In 2015, he received the National Literary Habitat Award for “Best Historical Fiction.” Aside from being an award winning author, Eddie Price is a speaker for the Kentucky Humanities Council Speakers Bureau. His topics cover a variety of subjects, most concerning the era up to and including 1812. Soon, Eddie’s next book will be published. In An Unlikely Trio, Eddie writes about the 1913 Kentucky Derby when a thoroughbred, jockey, and breeder-trainer made racing history. In Chautauqua presentations, sponsored by the Kentucky Humanities Council, Eddie portrays jockey Roscoe Goose. For more about Eddie Price see his website. 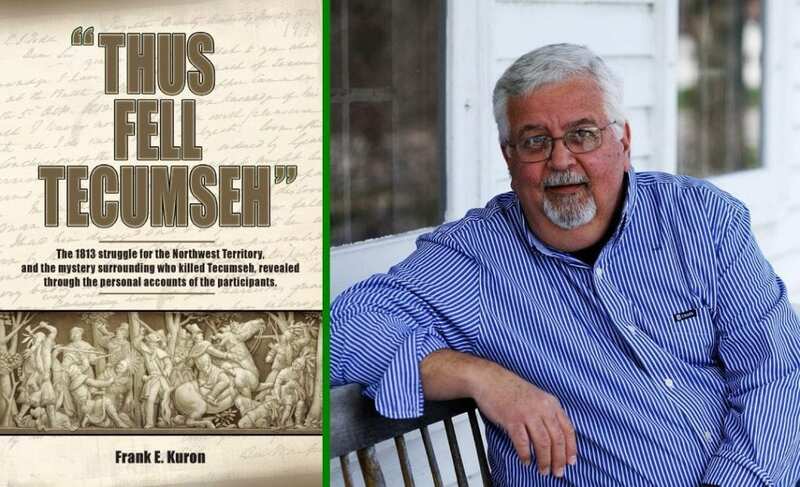 In Thus Fell Tecumseh, Frank Kuron chronicles the battles and hardships of forces on both sides of the early-American conflict of 1812. Specifically, he targets the eighteen month period leading up to the Battle of the Thames in October of 1813 when the great Shawnee leader Tecumseh was killed. Over 160 primary accounts from diaries, newspapers, and letters of troops involved at the Thames provide the reader with the opportunity to solve the mystery now over 200 years old. How and by whose hand was Tecumseh slain? Was it Col. William Whitley, the frontier neighbor of John M. James at Crab Orchard, who killed Tecumseh? Or, was it Richard Mentor Johnson of Ward Hall? Frank Kuron is a lifelong resident of Toledo, Ohio. He has written history newspaper columns about the War of 1812 for the Toledo Free Press. Frank writes in a personal and engaging style, bringing to light lesser-known people, events, and the aftermaths of the war. He now is researching material for his next book about the frontier life of early America. As a board member of the Fallen Timbers Battlefield Preservation Commission, Frank encourages public awareness of this key, yet nearly forgotten, American & Native American confrontation. Gerald also has authored Battletown Witch, and co-written the book Meade County Families and History. He blogs for the Meade County Area Chamber of Commerce, and writes a weekly history feature for the Meade County Messenger. He is a regular contributor to the Kentucky Explorer magazine. Born in Bowling Green, Kentucky, Gerald studied history, archeology and anthropology at the University of Louisville, earning two undergraduate degrees in history and anthropology. Graduating with honors from Spalding University with an M.A. in teaching, Gerald taught school in Florida and Kentucky. 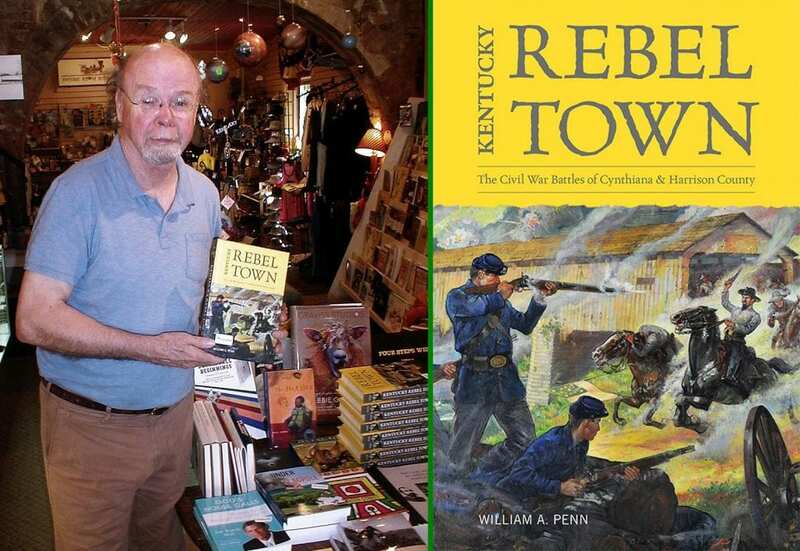 In Kentucky Rebel Town, William A. Penn examines Cynthiana, “that infernal hole of rebellion” where John Hunt Morgan’s last Kentucky raid ended calamitously. With Morgan went the Confederacy’s best chance, as Morgan himself opined, “to hold Kentucky for months.” Penn probes the divided loyalties and tense conflicts that wracked the picturesque Bluegrass town during four years of upheaval. Penn traces the local confrontations between Unionists and Rebels with aplomb, giving close attention to the shifting allegiances and fortunes of leading community figures. Penn concludes that a majority of Cynthiana’s white citizens maintained their rebel sympathies throughout the war and far into its aftermath. Penn examines topics ranging from enlistment and conscription to early confrontations over federal encampments around Cynthiana. Petty jealousies and personal rivalries animate its central characters as much as grandiose claims to Southern honor or devotion to the Union. Penn is at pains “to explore the effects of the war” on all local residents. Drawing from an impressive amount of letters, diaries, newspaper accounts, and federal records, Penn highlights the daily physical and psychological struggles that those on the home front endured and the shattering personal losses that were all too common during wartime. William A. Penn, editor of the Harrison Heritage News, has published articles in Northern Kentucky Heritage and the Ohio Genealogical Society Quarterly. He is a board member of the Historic Midway Museum, and operates its store in Midway, Kentucky. Reviewers say, Embattled Capital is a must-read for students of the conflict seeking an intimate look at how the war affected life in a slave-holding border-state. 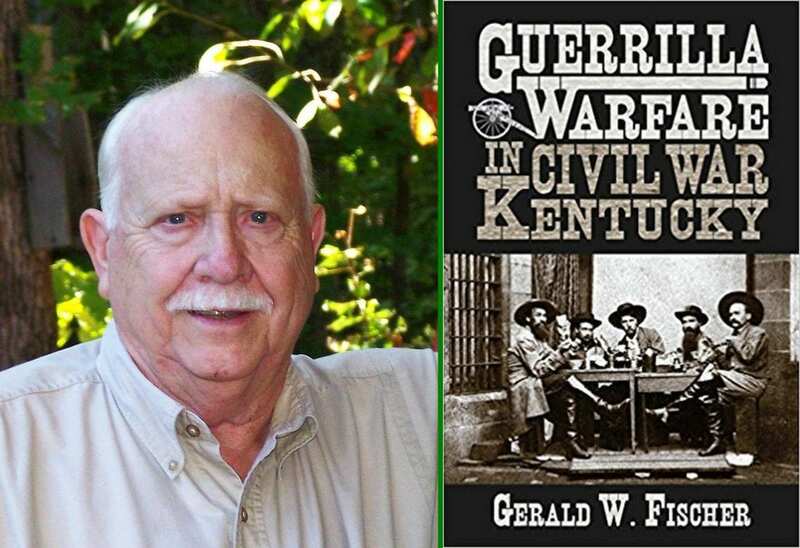 The book shows that the citizens of Frankfort, Kentucky experienced a much different war. Allegiance was fluid and could change depending on who maintained power. The book’s strength lies in the author’s ability to vividly convey the city’s wartime experiences through the excellent use of primary sources. His skill tells the story of Frankfort’s Civil War and postwar story through the eyes of the local community. James M. Prichard is the former Research Room Supervisor at the Kentucky Department for Libraries and Archives. Presently, he works in the Special Collections Department of the Filson Historical Society. He is a regular contributor to Civil War Times, North and South, and True West magazines. His essays have appeared in the Kentucky Encyclopedia, The Encyclopedia of Louisville, Biographical Dictionary of the Union, Heidler’s Encyclopedia of the Civil War, The Worl Encyclopedia of Slavery, Confederate Generals in the Western Theater, Kentuckians in Gray, and Virginia at War: 1863. 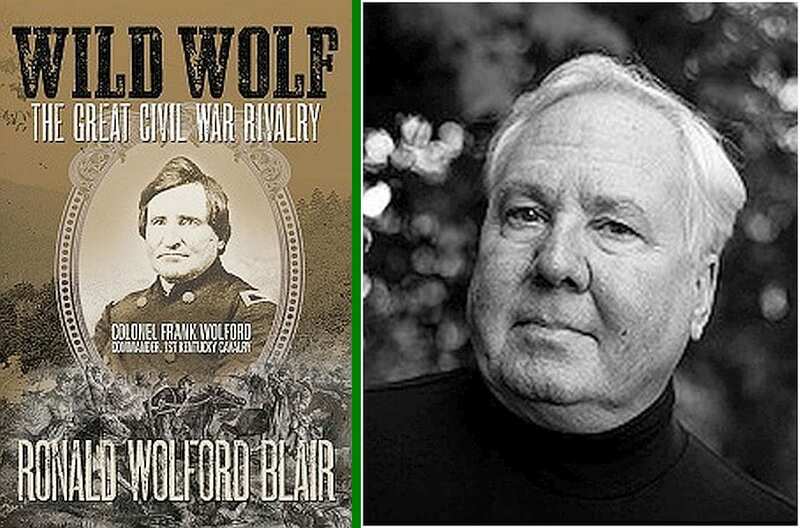 Wild Wolf, The Great Civil War Rivalry is the Story of Col. Frank Wolford, the celebrated Civil War cavalier and rival of Confederate raider John Hunt Morgan. Written by Wolford’s second great-nephew, Ronald Wolford Blair, the book discusses in detail Wolford’s heroic leadership in part of more than 300 battles and skirmishes and his notable rivalry with Morgan’s Raiders during which Wolford was wounded seven times. Additional details about Wolford’s political career and personal life are reviewed, plus little-known facts about his staunch opposition and policy dispute with President Abraham Lincoln over the use of black soldiers in the Union forces. 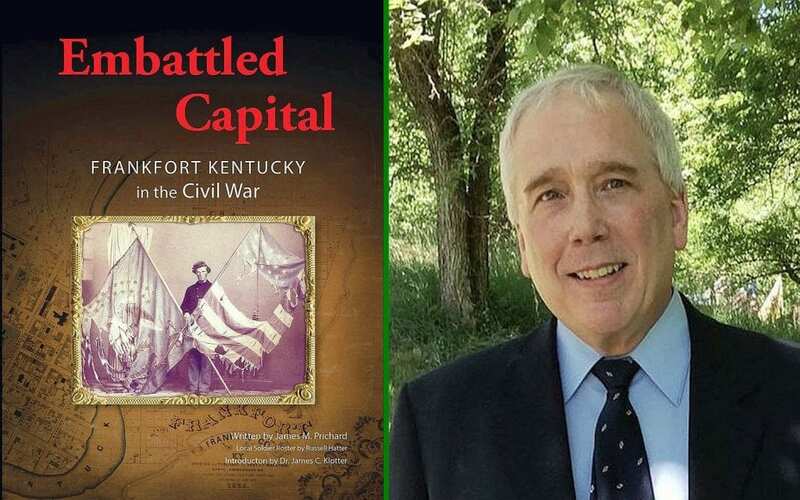 Ronald Wolford Blair is a contributing author of the book, Kentucky’s Civil War: 1861-1865, which won a Governor’s Award, as well as the book, Kentucky Rising, written by his friends, Dr. James A. Ramage and Dr. Andrea Watkins. Ron has written for as the Cincinnati Enquirer and the Lexington Herald-Leader. He is a member of the Civil War Trust for the preservation of Civil War Battlefields. 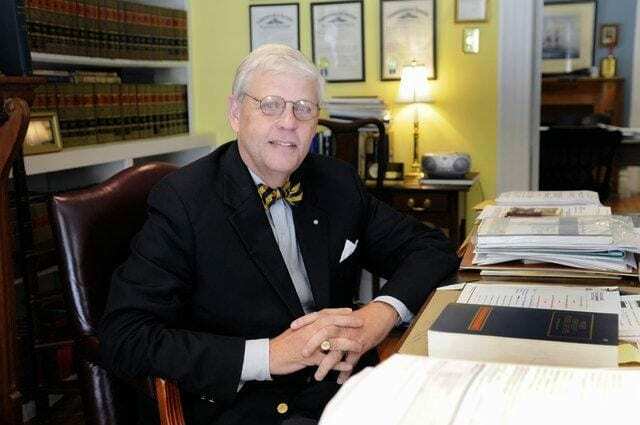 Ron also is a member of several Civil War roundtable organizations, the Kentucky Historical Society, Friends of Henry Clay, and Morgan’s Men Association, among other organizations. His family name is Charles Michael James. 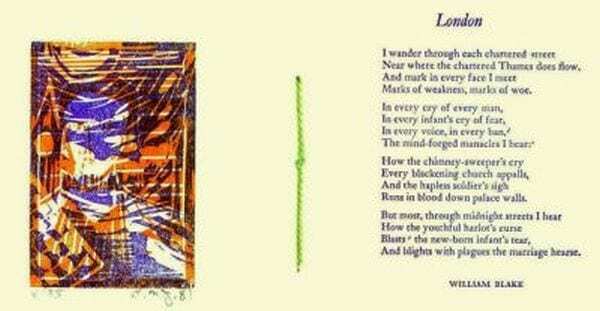 As an artist-poet, and publisher, Mike is known among the art world and literary circles as C. M. James. Mike was born in Somerset, Kentucky, a second great-grandson of Rev. Joseph Martin James and Permellia Estepp. He attended Youngstown and Ohio State Universities. 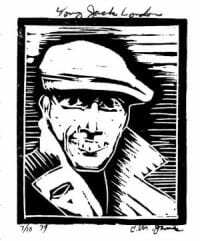 As a poet, artist, and illustrator, Mike founded Fantome Press. 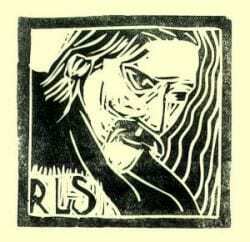 He began to publish poets of the Beat Generation. 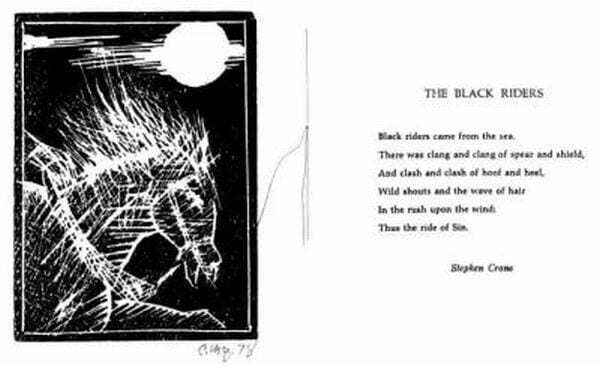 He also published classic American and British poets. 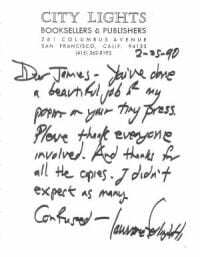 “Dear James – You’ve done a beautiful job of my poems on your tiny press. Please thank everyone involved. Ad thanks for all the copies. I didn’t expect as many. As a book collector, Mike assembled a vast library of books on the subject of the tattoo. Since suffering a stroke in 1993, Mike has retired from writing and publishing. C.M. James has two works of art in the archives of the Museum of Modern Art in New York City. See “bird” and Ephemera. 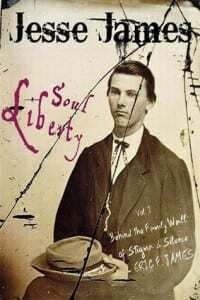 BOOK REVIEW: Jesse James, Soul Liberty. Volume I. By Eric F. James. Published by Cashel Cadence House, Danville KY. 2012. 411 pages, $36.95, reviewed by Bobbi King of Eastman’s Online Genealogy Newsletter, June 23, 2013. Reprinted here by permission. Eric F. James was asked to take on the task of researching and writing the story of the James family, specifically the many members of the family who merited fair consideration distinct from the myth and legend of the notorious outlaw brothers Frank and Jesse. Mr. James succeeds in acquainting us with a family of characters who do deserve to be featured apart from the tarnished brothers. The book’s subtitle, “Behind the Family Wall of Stigma & Silence” offers a not-so-subtle hint on the family’s take on their historical connection. Apparently, the more well-informed members of the family vigorously sought to put the kibosh on any kinship to Frank and Jesse James when naïve queries arose. “In the emerging democracy of colonial Virginia, the early Kentucky frontier, and throughout the American heartland, the James were renowned as community builders, public office holders, ministers of faith, financiers, educators, writers, and poets. From these roots shot Frank and Jesse James. “Following the Civil War, Frank and Jesse James eclipsed the family’s destiny. War may have splintered the family ideologically, but Frank and Jesse James disjoined the family’s compass and direction, casting a longer and darker shadow on the James family, like no other. Goaded by family in-laws, the Jesse James family withdrew into a citadel of its own. Their ostracism was enforced by every other family line of the James. Mr. James’ book locates the various families’ residences, describes their personal occupations, details relationships and kinship to one another (a six-generation descendant chart is included), chronicles their military service, catalogs their movements about the regions, and quotes a good deal of material from their letters and journals, which always evokes a personality, a spirit, a temperament. Mr. James’ research appears to be extensive across a wide variety of sources, with references at the end of the book that contain explanatory tidbits adding even more to the story. The photographs and illustrations, even those blurred by age and decomposition, are vivid and well produced, summoning up their subjects and places. Mr. James, along with Judge James R. Ross, a great-grandson of Jesse James, is a co-founder of the James Preservation Trust. He writes and publishes on the official website of the James family, and is without a doubt the family cheerleader. His writing is strong, perhaps a bit hyperbolic for my taste, but this is a good book for fans of Western history who want to know the real story. His research supports a claim to authenticity, and his writing keeps us reading. Mr. James has conquered the Everest of writing a family history genealogy book that is interesting enough for the rest of us to want to read. Daniel Boone and John M. James are ancestors of today’s descendants of Jesse James. In the present film documentary Daniel Boone & the Opening of the American West, Boone once more cuts a path and trail for Jesse’s grandfather John M. James, again today as Boone did in the past. The film is worth viewing as a preview of the smack and zing of John’s own history, soon to come in my book This Bloody Ground. In recent years, as I sat in Danville, Kentucky, writing the story of Frank & Jesse James’ grandfather as the second book of my Jesse James Soul Liberty quintet, Kent Masterson Brown was in Lexington, Kentucky, beginning his journey of three years to bring Boone to film. Both my book and Brown’s film cover the same period, the same territory, many of the same people, and a lot of the same history. However, each of us delivers a different view. Much of Boone’s story, as Brown tells it, is located north of the Kentucky River. The story of John M. James in This Bloody Ground, as might be expected, resides south of the Kentucky River. Brown credits Boone in part with opening the Northwest Territory that became everything from Ohio west to Minnesota. John M. James and his band of rebel Baptist preachers, not only opened the West from colonial Virginia to Missouri Territory, but also way beyond into the Far West, to the Rockies and California. Daniel Boone is a star in history’s firmament, replete with legend and misleading mythology, which Brown goes to great length to extinguish in a shower of facts. John M. James, for the most part, is unknown to legend, mythology, or fact. Equally, unknown is the origination in John’s Kentucky of many of those families affiliated with John who later spawned their own history of the American West. 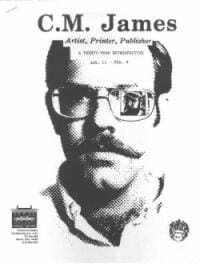 I have enjoyed the former historical work of Kent Masterson Brown. Brown resembles for me the often fabled Kentucky lawyer whose telling of a good history lesson, more than a trial, vindicates justice. His voice that speaks through grit is invaluable. Brown and I are in the same business. Maybe that explains our mutual fondness for a neat and tidy bow tie. 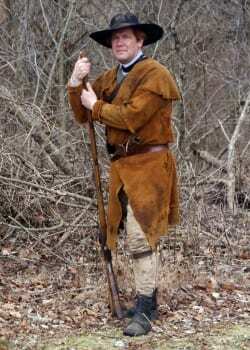 As a boy, John M. James tried to join Daniel Boone, when Boone stood beside his wagon in Stevensburg, Virginia, seeking recruits to enter the dark and unknown wilderness. Though John was too young for Boone to accept, each man became a pioneer. Each did so in his own way. Each has had a lasting effect on American history. In This Bloody Ground, I will argue, however, that John M. James was more an average person’s pioneer. John M. James, not Daniel Boone, produced a more lasting effect relative to the common person. The legacy of John M. James endures in the social, religious, and political culture of America. The marriage of Jesse’s son Jesse Edwards James Jr. to Estella Frances “Stella” McGowan might have appeared surprising at the time. It should not. He is a great-grandson of John M. James. She is a third great granddaughter of Daniel Boone. Their marriage represents the reunion of Daniel Boone and John M. James. For today and all tomorrows, the descendants of Jesse James will be the progeny of a star pioneer and a pioneer of the common man. To view the entire program of Daniel Boone and the Opening of the West, and to savor the smack and zing of This Bloody Ground coming this year, CLICK HERE. The program may not be available for very long.